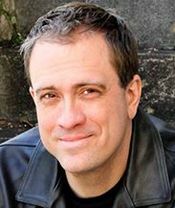 Steven James is the bestselling author of nine novels that have received wide critical acclaim from Publishers Weekly, New York Journal of Books, RT Book Reviews, Booklist, Library Journal and many others. He has won three Christy Awards for best suspense and was a finalist for an International Thriller Award for best original paperback. His psychological thriller The Bishop was named Suspense Magazine's book of the year. Publishers Weekly calls James "[A] master storyteller at the peak of his game."